Police have arrested a woman suspected of starting a fire that swept through an eight-storey apartment building in Paris, killing at least eight people and injuring 30 others, including six firefighters. 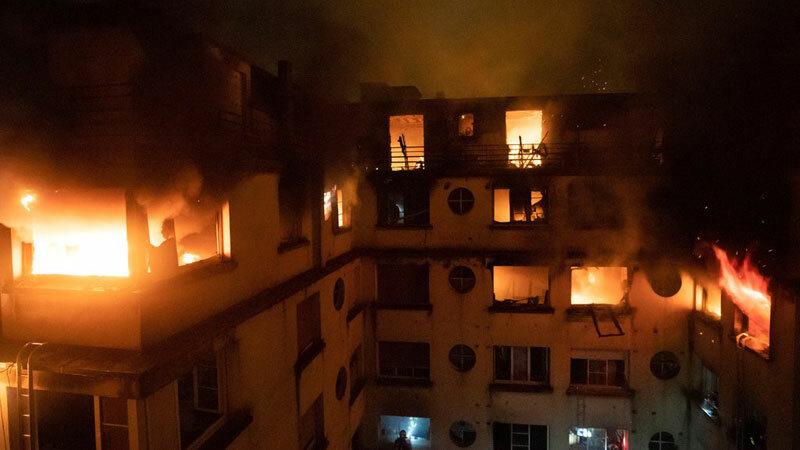 The woman, who lived in the building, was taken into custody as flames swept rapidly through the block in the French capital’s 16th arrondissement, not far from the Parc des Princes stadium, home to the Paris Saint-Germain club. The Paris prosecutor, Rémy Heitz, said a criminal investigation had been opened. “A person, a woman, who lived in the building has been arrested,” Heitz said. He did not confirm reports that residents had heard the suspect involved in a dispute with neighbours. “At this stage, with what we know, the incident appears to be criminal … this person was arrested in the night not far from the fire … she is in custody,” Heitz added. The fire was reported at about 1am on Tuesday and spread quickly from the second floor, where it is believed to have started. About 50 people were thought to be in the building at the time, many of them trapped. Some scrambled on to the roof to escape the smoke and flames, while others shouted for help from windows. It took about 250 firefighters almost five hours to bring the fire under control.